Click here for Professional Web Hosting from $2.38 per month! Did you know that your choice of Web Host will make or break your business? Yes, it's true. Some Web Hosts only use low end servers, and offer basic Web hosting features and very poor service ... and then charge the earth to add in features that should have been there in the first place. 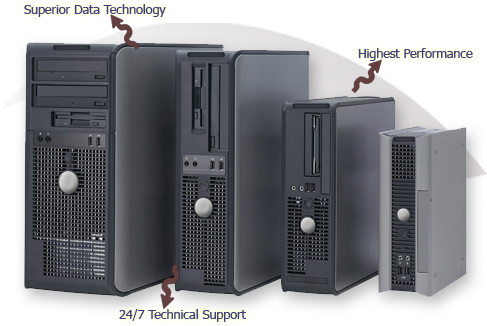 While others, who are more customer orientated not only use top of the line servers, but also offer reliable feature-filled Web Hosting packages that make the life of their customers a lot easier and most importantly provide friendly helpful support. Do you want a Web Hosting Package designed by Internet Marketers and optimized to provide everything you need to succeed in your internet marketing campaigns? Do you want a Web hosting package that can provide you with a package that allows you to host as many domains as you want on one account? Do you want a Web Host that can provide you with virtually unlimited disk space and bandwidth? Do you want a Web Host that is so reliable that it has a 99.99% uptime guarantee? Do you want a Web Hosting package that's fully loaded with all the tools you need to build all your web site(s) with ease? Do you want to avail of the legendary UnlimitedWebHostingService Support (view our testimonials). Do you want to receive UnlimitedWebHostingService's Unique New Customer e-course to help you to focus on the essentials and get started super fast? Do you want to be able to purchase all your domain names at an exceedingly low cost and to have them automatically pointed at your hosting account with no work from you? Do you want the comfort of knowing that we are concerned about your success and are there to help you succeed.. If so, you've come to the right place at the right time. Virtually Unlimited data transfer (bandwidth) to go with your account, no more worries about extra charges (value $129.00 a month) and minimized concerns about being suspended due to high bandwidth during product launches or other high usage periods. Host unlimited domains on your account by using the add-on domains feature in your account control panel to add additional domains to your account any time you want at no extra charge (value $27.00 a month) so you can host as many independent web sites as you want. Our complimentary "Get Started Fast" e-course to help you focus on the basic actions you need to take to get your web presence up and running immediately even if you are a complete newbie ($97.95). Access to the friendly UnlimitedWebHostingService support team. Being Internet Marketers ourselves we understand your problems and will always give you respectful courteous and helpful replies. We all have to start somewhere and we never assume that something is obvious. Access to our knowledge-base of frequently asked questions so you can quickly find your answers without the need to create a support ticket (value $5.00 per ticket). 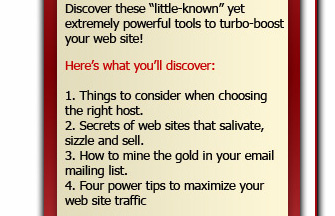 Free access to our top of the line Web site builder to build your sites. With our FREE best of breed professional Site Builder, you can easily build and manage your website at the click of a button within minutes (value $99.00). Control Panel (C-Panel)... this feature-filled control panel gives you complete control to manage your sites' emails, ftp, files, etc., with ease ( value $23.00) and combined with our servers provides unbeaten script compatibility. Rv-Skin -- multi-languages, multi-themes advanced skin management software for C-Panel server, allows you to change C-Panel language, and themes with ease (value $23.00). Softaculous. Hundreds of easy to install scripts! 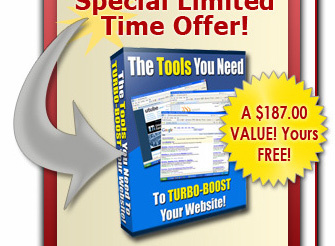 You can access this from your control panel and it has the ability to quickly install hundreds of the leading open source content management systems into your web space in seconds (value $190.00) at the click of a button. Install your blog, a forum, a helpdesk, a content management site, a shopping cart, an image gallery and much much more, all at the click of a button. Web stats support. Use this to get detailed statistics about your visitors and site. Judging your progress couldn't be easier with this tool. (value $23.00). CGI, Perl, PHP, MYSQL Support, these allow you to run your CGI, Perl, PHP scripts and MySql database driven Web sites without any problem (value $28.00). You can even select your preferred PHP update. Multiple FTP accounts (value $23.00) ... as many as you want. Ability to create unlimited sub domains for your account domains using the C-Panel sub domain feature (value $23.00). Ability to host International domain names (value $23.00). Ability to use 2 different Web based email solutions "Horde, SquirrelMail and others" to read your mail from any computer in the world. You can even use Outlook, Outlook Express, Yahoo Mail, Gmail, etc., to manage your emails if you want by using POP3 and SMTP (value $23.00). Access to 80+ online training video tutorials, that will show you how to use your account control panel, Web site builder and also, how to change your domain name servers (dns) and how to upload or download files to/from your site with ease (value $197.00). Ongoing tips, tricks and advice to help you succeed in your web business. Convenient Online Helpdesk to track and record all your enquiries using our ticket system, overcoming uncertain email communications. We keep a history of all your issues so you can refer back to them at your convenience. You can see that the value of this package is well over $180 a month. We are not going to give you 25% off. We aren't even going to give you 50% off. Instead, for a limited time, we are going to give you over 90% off! Remember though, our insanely low prices are only good for right now at this very moment. As soon as you leave our site, I cannot guarantee how long this offer will last. Please don't let this amazing opportunity pass you by... from $6.99 per month for this top of the range completely unlimited hosting account. But if you can't afford our flagship totally unlimited package we have other lower cost unlimited packages for you to choose from. Most of these have all the bells and whistles that the totally unlimited package has and only differ as shown below. Once you get your hosting package you will also be automatically enrolled to earn commissions through our site, giving you the chance to earn back your investment, plus more. Tell people about your good experience and refer them to this site and when they see the value and purchase through your link, you will earn a 25% recurring commission as our way of thanking you for the referral. If you are still not sure, just compare any other package at this price. Do they allow you unlimited domains and/or unlimited disk space with unlimited bandwidth, unlimited email addresses, Softaculous and the many other features of this package at prices to match. Often you will find that if the pricing is reasonable that it only applies for the first year and you pay more afterwards. Normally for this money you will only get a very basic package. However provided you are one of the first 2000 customers you get all of this for the guaranteed low price. Select your hosting account from above and then click on the appropriate "Add to Cart" button and your hosting account will be setup instantly on the server and your welcome email with your account information will be sent to you right after your account has been setup. If you need advice on which package to choose, just log a ticket through our help desk and we will be very happy to discuss your options. Log a ticket also if you not sure of anything else concerning domain names, the sign-up process or whatever and we will get back to you soon. Now click on the "Add to Cart" button for your chosen account for instantaneous account set-up so you can start to create the website of your dreams. You can pay using your choice of Visa, Master-Card, American Express, or Discover via PayPal or just pay through PayPal itself. PS: Act on this very limited-time offer right now. We're only offering this to a limited number of people at this insanely low price. I don't know how long this deal will last. PPS: We had intended to charge $39.99 a month but at this time we are giving you the benefit of a terrific discount. Signup now and we will not just lock in your low discounted price but we will discount your price every year by 5% of what it was the year before. If you are not one of the first 2000 customers you will pay more, so get your Internet Marketers Dream Web Hosting package now and host unlimited domains on your account at the lowest rate ever. PPPS: You're going to be referring others to Your Own Web Host anyway, why not get paid for it? Don't forget that your purchase qualifies you to earn 25% commission on sales of this incredible offer on all your direct referrals who sign up month in and month out for as long as they remain a member. Sign up immediately to avoid disappointment!